Retail businesses make up a majority of the consumer business across the nation. 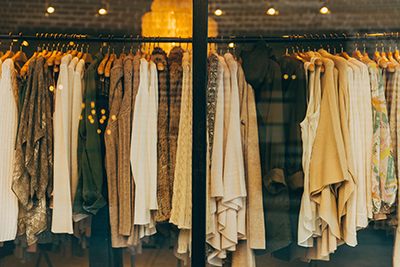 Did you know Facebook influences 30% of American women when deciding what professional clothing to buy? Pinterest influences 22%, according to a joint study by Netbase and Edison Research. When it comes to clothing for a special occasion, Pinterest influences 28% of American women and Instagram influences 17%. As digital marketing company, MyCity Social helps to influence these potential buyers for multiple retailers in a variety of markets. Retail Company Online Marketing is IT if you want to beat the competition and attract customers. We understand the role social media plays in determining and influencing consumers’ attitudes, motivations and behaviors. Our main goal is to showcase your products and services to the right audience at the right time. That is the purpose of our Retail Company Online Marketing plans. Social media is a great bolster to building your brand awareness, and equally as important is increasing your exposure in online search. If you have someone typing in google “clothing store near Orlando” for example, and your store is in Orlando, you would want to be at the top of the search for that term in order to have that user click on your website in order to resolve their need. SEO is here to stay and has led many boutiques and other retail stores to experience great success when done by an experienced SEO company. MyCity Social has a dedicated SEO Specialist who will communicate with you weekly to show you how your website is ranking higher over time and how that has led to an actual conversion of website searches. You have the opportunity to beat out your competitors and make your business shine online. Take charge of your online presence today and contact one of our guru’s. Call 1-866-955-3287 to schedule an appointment at the office nearest you. We have locations in Miami, Orlando, Tampa, and St. Petersburg, Florida. We specialize in helping small businesses and even huge corporations obtain more sales and customers. We look forward to helping your with your retail business and creating positive results through our efforts.